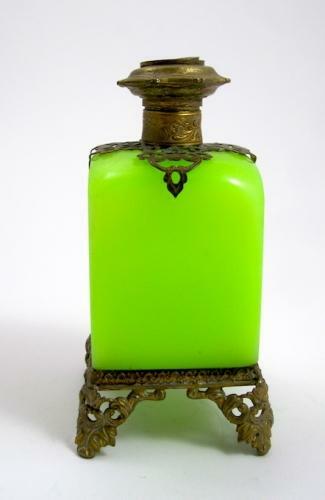 LARGE Grand Tour Green Opaline Perfume Bottle Depicting Eglomise (reverse painting on glass) Miniature of L`Arc de Triomphe in Paris. Lovely Ormolu Mounts. Circa 1860, Napoleon III.